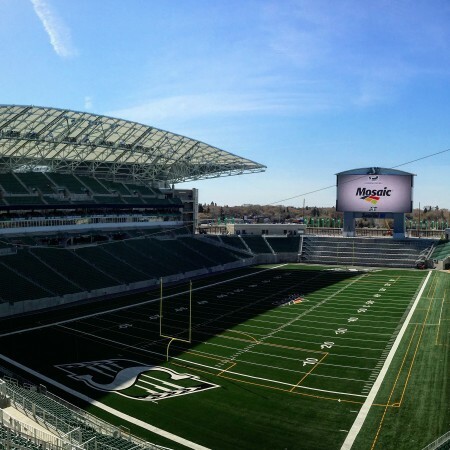 REGINA, SK – The Regina Leader-Post reports that attempts at brokering a deal to serve local craft beer at the new Mosaic Stadium have failed, leaving Molson Coors as the sole beer supplier for Saskatchewan Roughriders games and other events at the facility. Further reports in May indicated that the SCBA and the Regina Exhibition Association Limited (REAL), which operates Evraz Place where the stadium is located, would “issue a press release very soon that will provide details for how the members of the SCBA will be able to provide locally made craft beer in the new stadium.” But no release was issued, and by the time the stadium officially opened in late June, local beer still wasn’t available. For more details, see the full Regina Leader-Post article, as well as further analysis of the issue at Ben’s Beer Blog.